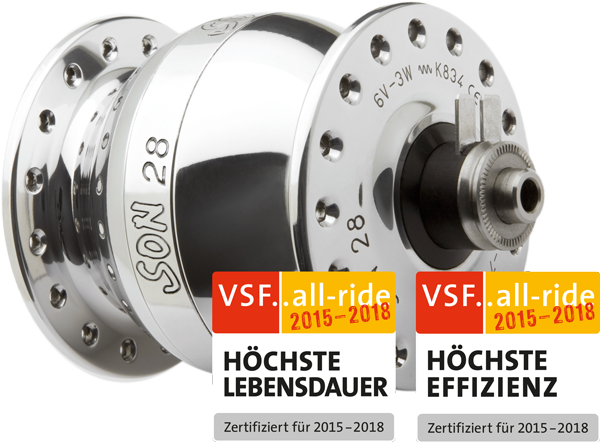 Elegant and reduced to the essential: lots of light perfectly well distributed on the road. A wide lightbeam, evenly distributed from near to far end provides best view on dark roads. With unequalled bright standlight. 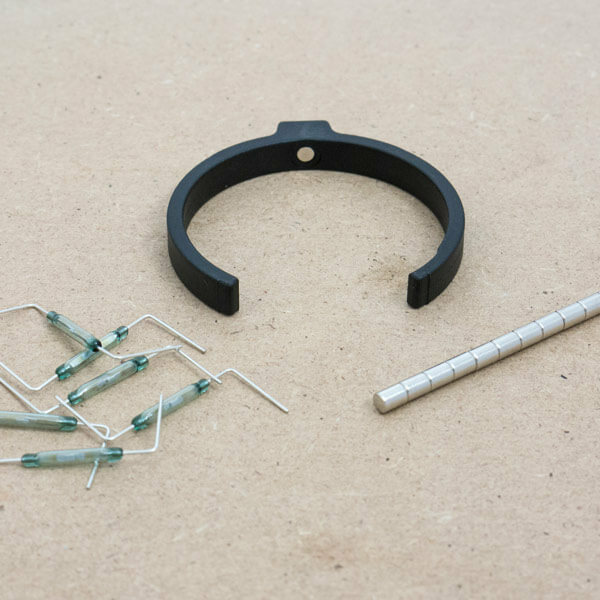 The metal housing is very robust and ensures good cooling of the LED. Bright light - no problem, but for how long? The good old little light bulb lasted for no more than 100 hours; an LED may have a lifespan of 100,000 hours. For how long will the trappings last, though? 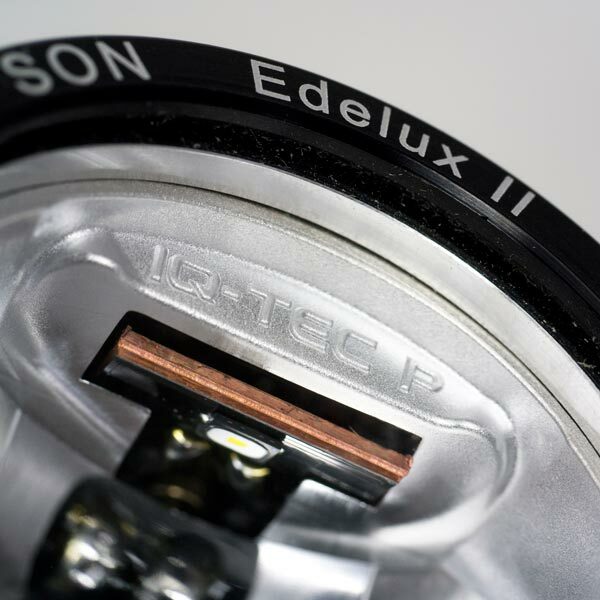 The Edelux II solid design housing looks noble and withstands even a commuter‘s rough treatment. 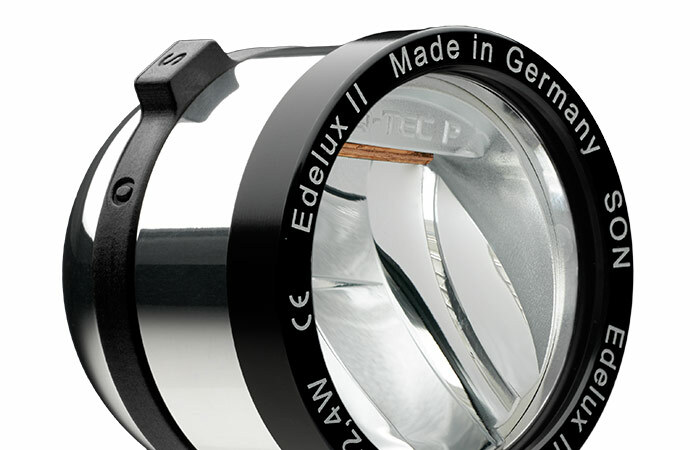 Just as robust are the Edelux II socket, mineral glass lens and easy-to-use switch. The SON coaxial cable safely conducts electricity. Good sealing and potted electronics prevent internal damage. 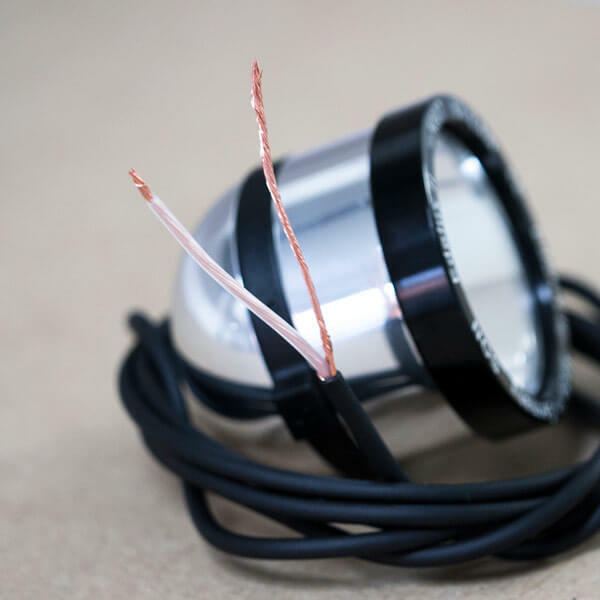 It is not very difficult to make a lot of light with little electrical power due to modern LED technology. Not many manufacturers succeed in distributing light in a useful way onto the road surface, though: too much light in the nearfield and/or blinding oncoming traffic prevail. 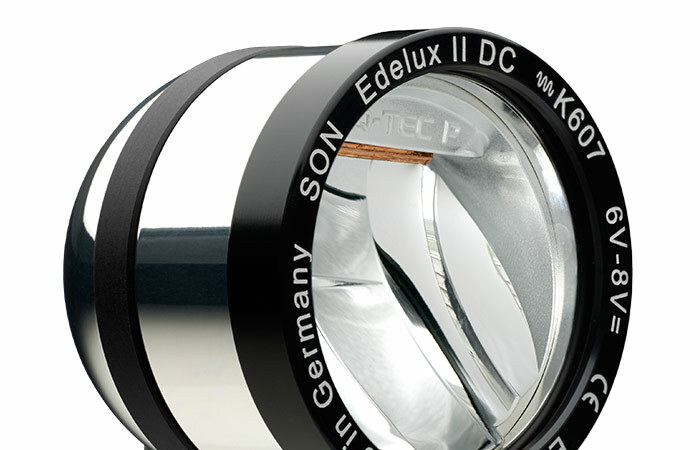 With sophisticated mirror-technology (Busch und Müller IQ premium) the Edelux II, if correctly adjusted, illuminates the lane homogenously and very broadly. Up to 100 Lux and a sharply defined light-dark cutoff make a wide view possible without blinding oncoming traffic. 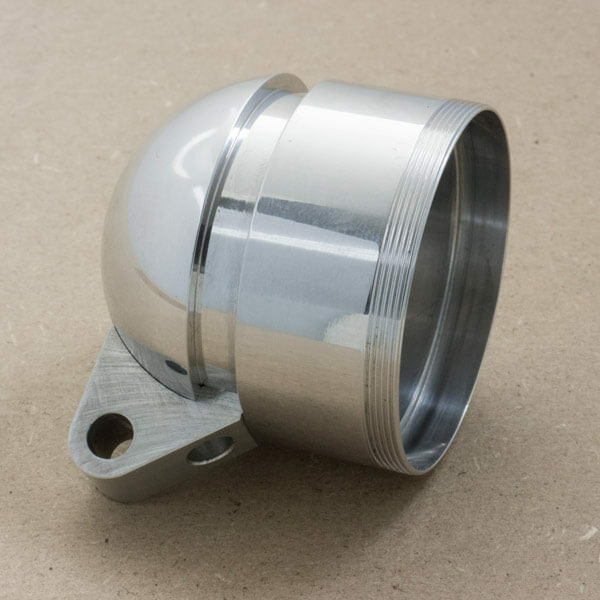 The aluminium housing ensures good cooling and is extremely robust. 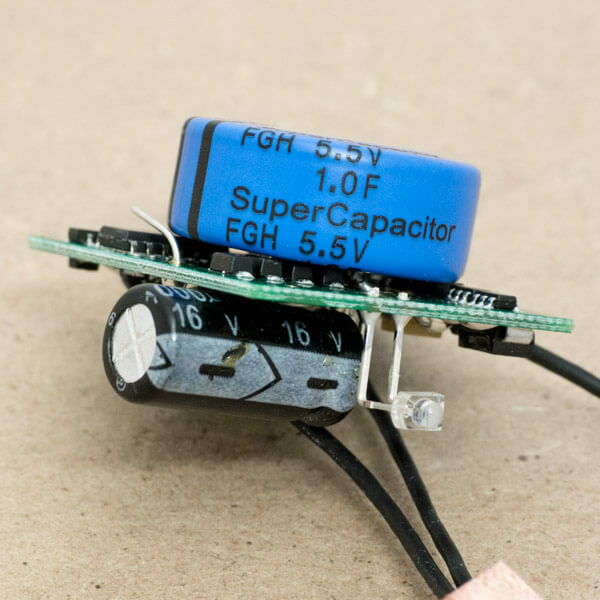 The high-power LED is soldered onto a copper heatsink which is directly seated at the aluminium housing: optimum thermal conduction guaranteed. 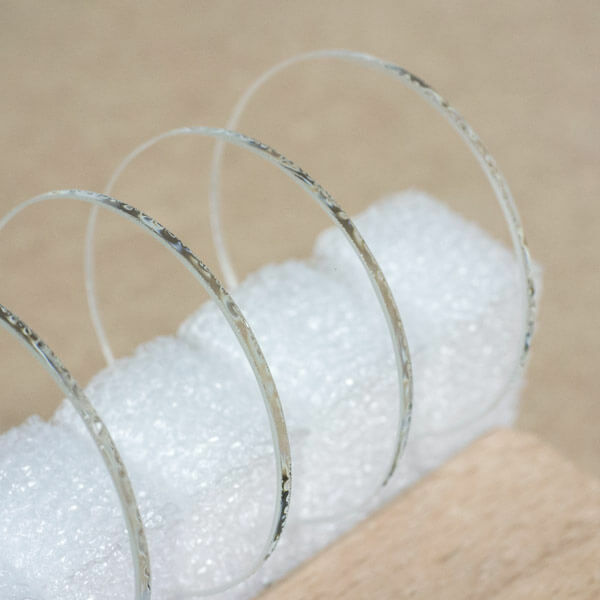 A new anti-reflective glass lens already allows more light to pass through compared to a plastic lens. No problems due to ageing or scratches either. Good looks and extremely robust: the 2-pole PU-coaxial cable (2 x 0.5 mm²), custom-made for SON. Vital on a dynamo-powered light: a standlight, that enables sight in the nearfield as well. 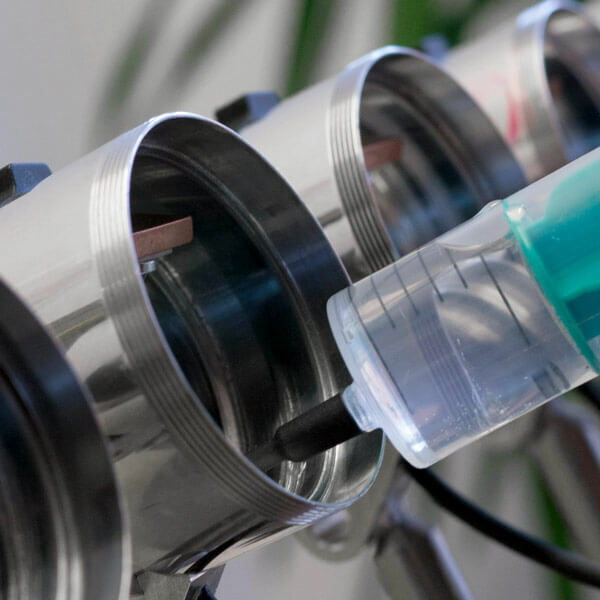 The switch that operates an internal reed contact, allows a hermetically tight housing and it is easy-to-use nevertheless. Epoxy potting seals the housing and protects the electronics against moisture and shocks.